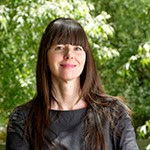 A project featuring a collaboration between SoA Adjunct Lecturer Bob Vint (Urban Design - History and Theory) and Lecturer Darci Hazelbaker (Foundation Studio) received coverage in the latest issue of Phoenix Home & Garden. 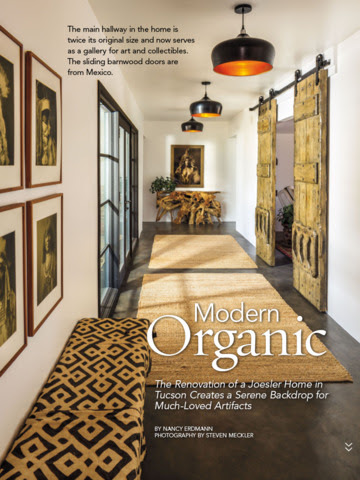 The article, "Modern Organic: The Renovation of a Joesler Home in Tucson Creates a Serene Backdrop for Much-Loved Artifacts." details the renovation of a 1944 Josias Joesler-designed home in Tucson. e re-organization/restructuring of house and Darci Hazelbaker served as Interior Designer for finishes & furnishings.